Employee privacy and information is crucial data that must be protected at all costs. Failure to do so can lead to petty arguments about pay all the way up to multi-million dollar lawsuits. Yet many employers are so caught up in the day-to-day running of their business, they forget to put the right measures in place. Follow these guidelines if you have recently found yourself concerned about whether or not you are doing the right things. Over 14 million businesses in the US are at risk of being targeted by hackers. From email phishing campaigns to DDoS attacks, once your servers are compromised, anything is up for grabs. Businesses worry about their client’s data and their own trade secrets. But they forget that vital employee data like social security numbers and bank accounts are all stored as well. It’s vital your IT department is given the resources and training to prevent and even block an attack should it happen. While you can by software to help, you ultimately need a dedicated person or team working to keep your records safe. Managing employee information and payroll is a special task that requires confidentiality and trust. But even then, accidents happen and people can make mistakes. That’s why it’s advised to diversify the tasks among employees. This way, they only have access to certain parts of the information but not all of it. For example, if someone’s role is to handle wages, then they don’t need to be the one also dealing with tax-withholding forms and other data. Of course. this can be difficult if you are a small business and only have one person working on this or use a software program. In these situations, you should work with the software help center. Often, they are able to advise on restricting access, limiting information, and even offer enhanced security measures. Never assume the data is secure and safe until it’s been checked over by a professional. Another issue that businesses have faced in the past is privacy leaks from word-of-mouth or even glances at a computer screen. When you hire people to handle sensitive data it is important to give them proper training and guidance. Rules such as ensuring they have exited the software before leaving their desks and changing passwords frequently can help. You should also stress the risks of disclosing information and layout enforceable consequences should it happen. Confidentiality agreements and provisions for immediate termination are great ways to make this happen if local policies allow it. Employees handling sensitive information should also be given their own private spaces to work. An employee passing by or coming up to talk may accidentally see information they shouldn’t have. If they share it without thinking, it could lead to issues and even liability. Open plan spaces are only fine for departments which have ad-hoc projects and collaboration. As your business grows and becomes more complex it’s essential to reevaluate older policies and practices. If you think your security measures need to be updated to protect employee privacy then start working on it immediately. Check out our services and see how our processes ensure all handled data is safe and secure. Why is privacy important to your business? Your business has as much as a 25% chance of experiencing a data breach. That’s according to a report by IBM released in 2017. The best course of action is to assume your business will experience a data breach. At the very least, you must assume that you’ll be attacked in some fashion. Today, it’s almost impossible to completely avoid hackers. The Hollywood version of a hacker sitting in a dark room trying to guess a password is inaccurate. Hackers have an advanced arsenal of malware, automation, and social engineering tools at their disposal. Automated bots crawl the web every day looking for vulnerabilities in websites. Phishing scams are constant. Chances are, your email provider has filtered out numerous possible phishing emails this month alone. Create a “Zero Trust” culture at your business to stay protected. Data breaches can cost businesses millions of dollars. Large companies can sometimes absorb these expenses but it damages their reputation and puts clients sensitive information at risk. For smaller businesses, a data breach can lead to business failure. Malware, like ransomware, can lock your data until you pay a large fee. Other data breaches could lead to a loss of customers or disruptions to your operations. 81% of all data breaches exploit privileged access to data. That means hackers find a way into your system by gaining one of your employee’s credentials. There are indirect ways hackers can gain this information. 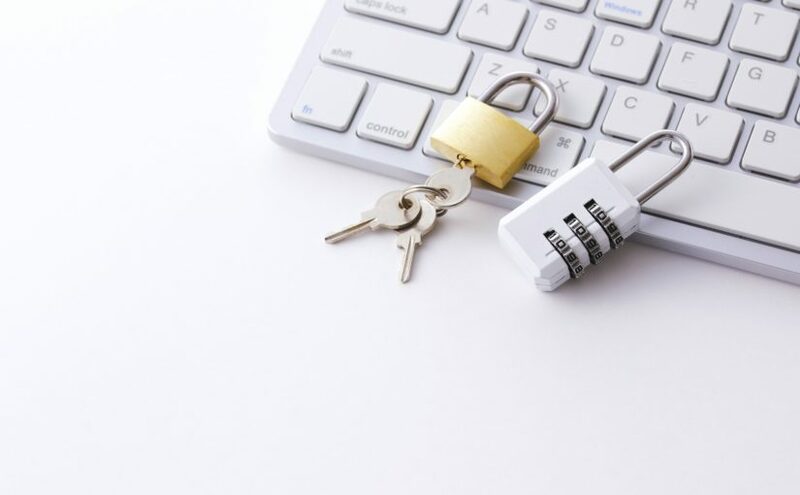 If one of your employees uses the same login information for all their personal and professional accounts, a data breach elsewhere could compromise your own system. It’s common for scammers to trick people to open emails and click on malicious links. All they’d need to do is find someone from your leadership team on LinkedIn, create a phony email profile, then email one of your employees posing as their boss. Data helps you optimize your operations and maintain accurate records. It can also help you serve customers more effectively. Data gives you a competitive advantage. And it’s a necessary tool in today’s business environment. But not all data is useful. Some of it gets old or becomes obsolete. Delete obsolete data periodically to protect your business. 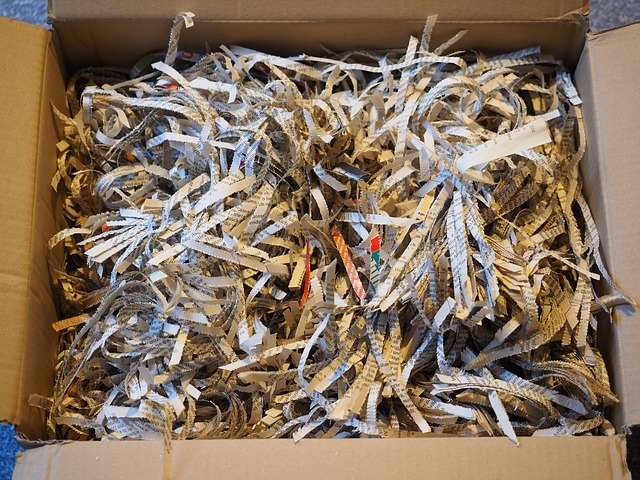 If you have printed records that are no longer useful, you should shred and dispose of them offsite. If you’ve followed any of the high-profile data breaches in the news, you know this already. A data breach can do long-term damage to your company’s reputation. This is especially true when customer data is involved. 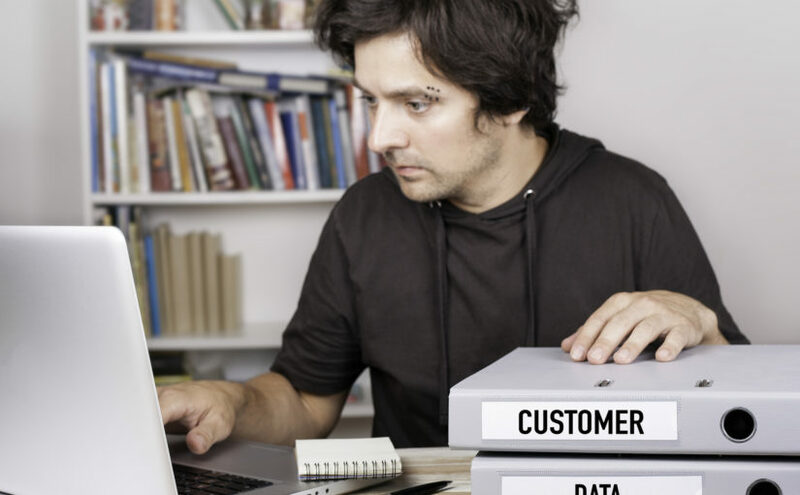 If you keep customer data, your customers are trusting you to keep it safe. They also trust you to dispose of it safely when you no longer need it. If you have a small business, you may be asking yourself, “Why is privacy important?” Don’t assume you’re safe from hackers because you aren’t a global enterprise. Take steps now to implement business data protection across your company now. Do you have a business in the Fort Wayne area of Indiana? Federal Records Management & Shredding can help you keep all your records safe. Contact us today to learn what you can do to protect your data and destroy records responsibly. Have you ever been the victim of identity theft? If so, you know what a huge hassle it is – not to mention how unsettling it is to have your privacy invaded. If you haven’t, you definitely don’t want to experience it. That’s why it’s important to shred documents that have any of your personal information on them. The FTC estimates that recovering from identity theft takes an average of six months and 200 hours of work. That means victims will spend about a total of 200 hours making phone calls, writing correspondence, keeping track of creditors, responding to letters, working with credit bureaus and law enforcement agencies, and taking any other actions required to ensure they won’t be liable for debts falsely created in their names. And in 2017, there were 16.7 million victims of identity fraud. This was a record high number that the record set the year before. So it’s clear that this is a problem that’s not going away any time soon. Of course, unless you’re living under a rock, you can’t be completely safe from identity theft. But making the effort to shred important documents will greatly improve the chances that you won’t be a victim of this latest crime. Of course, you want to get rid of documents with your personal information. This includes ANYTHING with your full name and address, home or work telephone numbers, and/or driver’s license number. Also, keep in mind that identity thieves don’t care whose identity they’re stealing. If they happen upon your child’s Social Security number, it’s fair game. So be sure to shred any mail concerning your children, such as their medical records, copies of birth certificates, school applications, report cards and even permission slips you’ve authorized for field trips. And finally, don’t forget about junk mail. The computer barcodes on the front of most junk mail could contain personally identifying information. So run your junk mail through the shredder. This includes mail from insurance companies/lenders or any membership organizations, as well as credit card offers and any return envelopes that come with these mailings. Beyond just the security measures you’re taking for yourself in putting all of those documents through the shredder, you’re taking additional security measures for the planet. Shredding your paper waste is going to be easier to recycle. And since paper can be recycled up to seven times and still be used, this means considerably less cutting down of trees. Plus, all the excess waste created from simply throwing away paper just causes the landfills to fill up faster. The truth is, anyone with a social security number is a target for identity thieves. But if you shred documents with important information, they’re far less likely to catch up with you. Don’t worry. If it all feels too overwhelming, then contact us today to learn more about our secure off-site and on-site document shredding services for business or check out our free shred events for personal use. Stay safe. Not all shredders are created equally. Instead, there are a number of different factors which go into making sure that your record destruction meets certain standards. When you’re trying to discover which shredder is right for destroying paperwork from your business then you’ll need to understand shredder security levels. Read on and we’ll explain exactly what you need to know so you can stay in compliance with modern standards. Which Shredder Security Level Do I Need? Before we get into the requirements for each level of security, it’s important to understand that not everyone needs something which is going to meet the highest security standards. But, wouldn’t you want to make sure that all of the documents you’re getting rid of are properly destroyed? 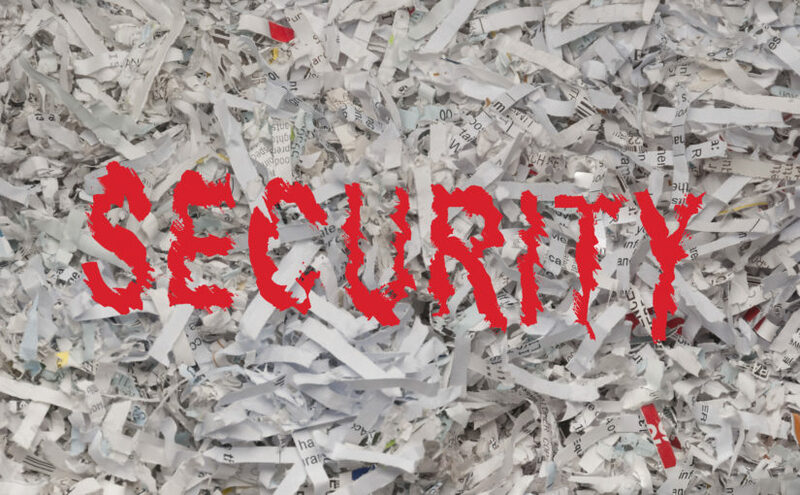 You may think “I’m just disposing of some old records with no personal information, I don’t really need NSA level security.” Which may be true, but if it’s worth shredding, it’s worth shredding properly. Paper shredders which operate at level 4 are enough for most commercial uses, although those who handle a lot of sensitive information may want to go with a level 5 paper shredder instead. FACTA compliance is a big issue for many companies since all consumer information now requires a high level of protection. A level 4 shredder is the bare minimum which can be used for disposing of this information. Currently, the code for security levels is covered under DIN 66399. This European standard has been adopted stateside, although there are some slight deviations put in place by the NSA for top secret documents. Level 1 shredding is mostly used just to get paper out of the way. It’s suitable for much of the paperwork which comes through an office and doesn’t carry any sensitive information. Old brochures and the like are commonly shredded at this level. Level 2 shredders can be used to dispose of slightly sensitive internal communications. Memos, forms without personal information, out-of-date instructions, or travel guidelines are good examples of documents which should be shredded in compliance with this level. Sales reports, receipts, and other financial information which doesn’t contain personal identifying information can be handled with a level 3 shredder. These aren’t HIPAA or FACTA compliant, however. The first level of shredding which is compliant with HIPAA and FACTA standards. All customer personal identifying information should be handled with at least a level 4 shredder in order to assure security. Level 5 shredders are probably the highest standard in common commercial usage. They should be considered if you’re planning on disposing of strategic paperwork for your company, competitor analysis, and other information which can be used in corporate espionage. Often used in healthcare and financial environments for a blanket level of security, level 6 shredders are able to handle some of the most sensitive information. At this level of shredding it’s extremely unlikely that someone will be able to reproduce the papers even with state-of-the-art technology. The highest standard currently in place is level 7. It’s used primarily by government entities like the NSA in order to ensure that even the most sensitive and dangerous information can’t be reproduced. Fortunately, you don’t have to keep track of all of this if you choose to invest in the right document managing service. Shredder security levels are a good thing to know but wouldn’t it be better to know that your documents are held in a secure location until their final destruction? And, they’re destroyed with papers from other companies, so there’s no way anyone would be able to reconstruct your sensitive documents. Contact us today and let’s see what we can do to help you make sure you stay in compliance with the law and protect your sensitive information from prying eyes. 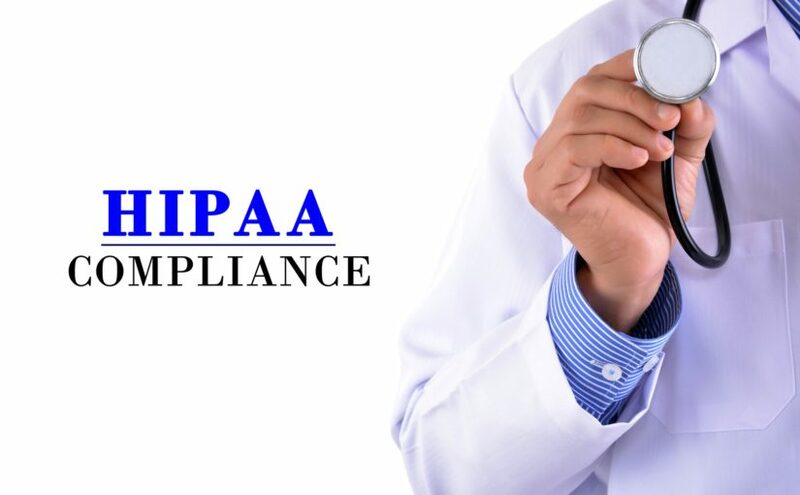 Any business or organization that comes into contact with protected health information needs to make sure that they are within HIPAA compliance guidelines. U.S. Department of Health and Human Services has strict rules when it comes to people who deal with protected health information (PHI). This in conjunction with the increase in data breaches might have you feeling a bit overwhelmed. But don’t worry, being HIPPA compliant won’t reduce your company’s efficiency and if you follow the list we’ve compiled, it won’t be hard either. We’ll start by explaining the rule then give you tips on how to stay compliant. The privacy rule deals with who is allowed access to the PHI. You need to make sure that your client’s information is protected. Managing the records is one of the most important parts to make sure the PHI stays protected. An easy way to do this is to delegate a person, to be responsible for this policy. They should train everyone on the policy and have the ability to implement consequences if the policy is broken. Your policy should be stricter than the HIPPA guidelines, this leaves a safeguard between your policy and breaking the law. There are three parts to the security of PHI. You need technological safeguards, along with physical and administrative safeguards. 1. Technological safeguards have to to with the actual technology that stores the PHI. You need to make sure that each of your clients has a name or ID number that’s unique to them. You also need to make sure IT has it set up that the programs you use will automatically sign the users out due to inactivity. 2. Physical safeguards are put in place to make sure only the right people have access to the PHI.This includes making sure that there are theft deterrents. When disposing of the devices you need to make sure to do it in a way that people who are looking to get there hands on PHI can’t get to it. If you are worried about your policy for getting rid of the devices, you can always contact a company like ours. 3. Administrative safeguards are the things you can do to make sure you give are acting within HIPAA compliance. Make sure that you are doing risk assessments every few months to see where you might be vulnerable. You need to also monitor your employees to make sure the policies are being followed. Violations can get costly. You want to avoid getting hit with expensive fines by making sure information is used only for what it is intended for. Giving your clients the ability to access their own information is also important, just make sure you have the technical safeguards. If there is a breach you need to notify HHS and your clients within 60 days. They will need to know what was breached, where it happened and what the damages could possibly be. HIPPA audits can happen at any time. One of the best ways to make sure that you are prepared for this is to have written policies in place. You don’t have a choice to be within HIPAA compliance guidelines. But it doesn’t have to be a pain to manage either. If you still need more help after reading our list, contact us. So you’re planning on getting a new computer? We can’t blame you. Technology is getting better each year, and that old fossil just can’t keep up. But what about all of those sensitive files you have saved to your computer? Sure, they may be outdated, but they’re still files with important information on them about you or your clients. It’s your job to dispose of them properly. If your response was “hit the computer with the hammer”, you are very wrong. Computers can be some pretty complex things. They may seem fragile, but in reality, they’re very good at protecting what matters most: the hardware. If you do a sloppy job disposing of your computer, your files will be easy for any computer thief to access – and that puts you and your clients at risk. Read on to find out the proper way of destroying a hard drive so that you and your clients will stay safe. Like we mentioned earlier, beating your computer doesn’t remove all of your files. Other than the fact that computers are good at physically protecting their hardware, your actual files could betray you as well just because of their size. The average file can fit itself within less than .0015 of an inch of space on a memory disk. This means if you leave at least that much space on the disk intact, a file could be stored there – and is at risk of being stolen. Even placing the files in the recycle bin and deleting them isn’t enough. The trace memory of the file is still embedded in the computer and anyone with any amount of tech experience could retrieve it. In short, any sort of conventional means we could think of just wouldn’t be enough to solve the problem. You would have to look towards more professional means to permanently destroy the data. One popular way of deleting your files is to use computer wiping programs.The funny thing about wiping programs is that they aren’t actually wiping your disc clean; in fact, it’s kind of the opposite. Disk wiping programs destroy a hard drive by packing it with what’s basically a bunch of trash data. The programs write and rewrite the file until the sensitive data is completely covered and unreadable. If you choose this route, be prepared to have patience. The whole process can take hours to complete per disk, but at least you know that those files will be long gone. Some people would have too much fun with this. You know how people say not to keep your phone next to your wallet because the magnets inside could damage or wipe your credit cards? This is the same idea, except on a bigger scale. To wipe your computer files, you’ll need a little something called a degausser, a high-intensity magnet with the ability to scramble the data on a disk.The process is relatively simple to carry out, however, the degaussers will run you over $1,000 for a good one so you’d better have deep pockets. And, if the hard drive is improperly degaussed, data recovery may still be possible. Alternatively, you could just have the pros do the job, saving you a ton of money and getting the job done right. 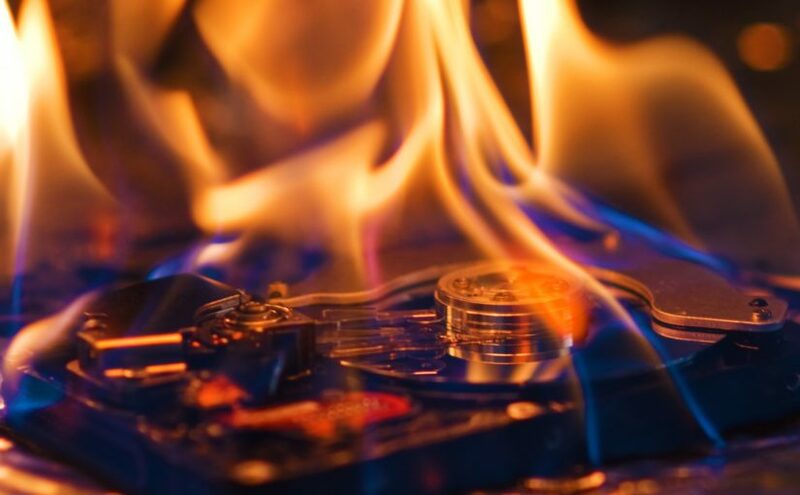 Instead of taking the chance that the data on your hard drive is still accessible, trust your hard drive destruction to a AAA certified destruction facility. Our process ensures that yours and your customer’s data is destroyed and not recoverable. Contact us today to learn about our hard drive destruction, records shredding, and more. Feel free to reach out to us to find out how we can help you with your security needs. We look forward to hearing from you. With more than 30,000 websites hacked into every day, you need to take protection against hackers seriously. However, remember that hackers don’t always have to go online to steal data and personal information. They can also access old paper documents and statements. 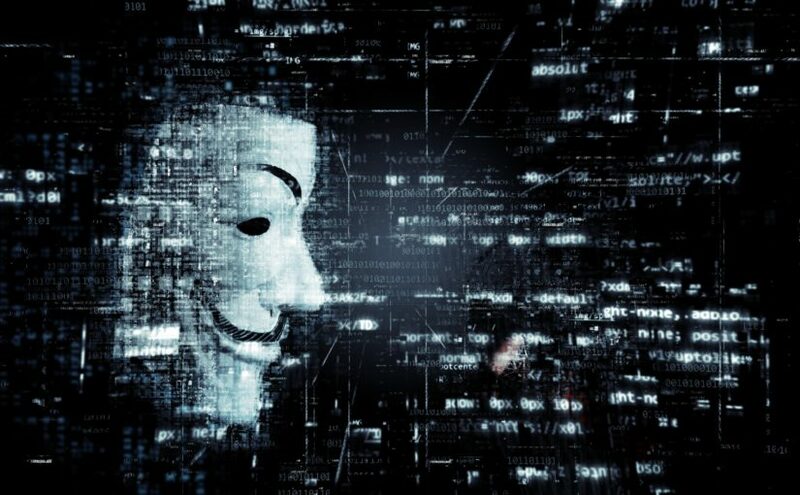 Read on to learn how to avoid hackers and understand where you can go for professional assistance with blocking hackers and data thieves wherever they are. One of the basics of knowing how to avoid hackers? Make sure that you’ve implemented a strong password strategy. Things like “pass” or “letmein” are no longer going to cut it. You should also refrain from using personal information, like a pet or child’s name, in your password. These are all easily guessed. Instead, focus on choosing a random string of letters, numbers, and special characters. Include both upper and lowercase letters. Additionally, make sure that you never use the same passwords for multiple accounts. Finally, we suggest that you update your passwords at least once or twice a year. This way, you’ll always keep the hackers guessing. Want to learn how to stop hackers? Start by understanding that online-only protection is no longer enough. Especially if you work in a federal agency, medical, or financial world, you need to make sure that paper documents are protected as well. One way to do this is by investing in professional, offsite document shredding services. This way, you can be certain that all of your documents are completely destroyed and that they never fall into the wrong hands. Remember, criminals can and do go through trash cans. So, offsite services are much more effective. After all, if hackers don’t even know where to go to find your old documents, then they won’t have even a shot at getting a hold of your company or personal information. Now that’s what we call an effective way to approach protection against hackers. We know that you can do a lot with your company website. You may use it to store customer data. In short, it’s the face of your business. That’s why you need to protect it — and, by extension, your company’s reputation. Make sure that you always run software, plugin, and general website updates as soon as possible. Encrypt your website data, and frequently scan your login attempts for suspicious activity. You may even consider working with a professional hosting platform or cloud-based server. These not only provide 24/7 site monitoring, they also make frequent backups of your website. So far in this post, we’ve taught you how to avoid hackers through things like offsite shredding services and website security. However, in order to truly succeed at blockers hackers, you may need the help of professional records management services. That’s where we come in. Records management helps ensure that you always have the proper documents on hand in the event of an audit. Records management software helps you to know where these records are at all times. It also helps with properly getting rid of sensitive information stored in your documents, whether paper or electronic. Spend some time on our website to learn more about how we identify, prevent, and mitigate threats to your customer information, personal data, and more. Reach out to us when you’re ready to get the best protection against hackers. 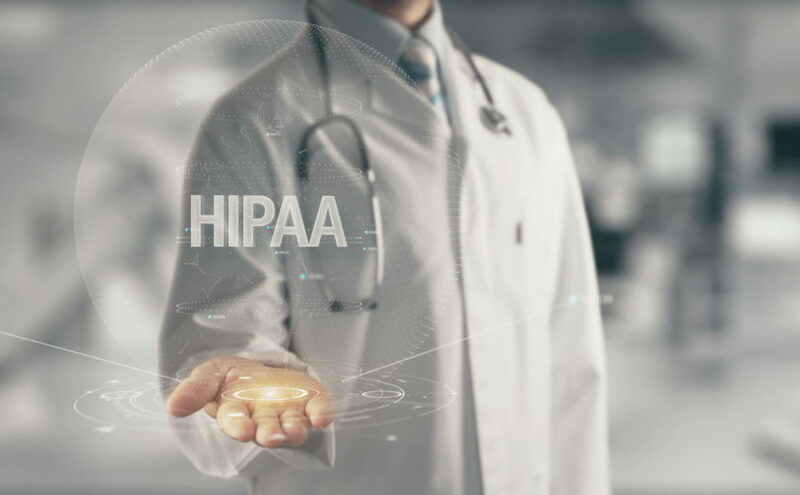 The HIPAA, FACTA, and GLBA: What Are They and How do They Affect You? In the past ten years, we’ve discovered how valuable personal data is. That realization came with a lot of changes and acts being signed into law. Some of those include HIPAA, FACTA, and GLBA – all reinforced or revisited by Congress in the last ten years. But what do these random arrangements of letters mean? We’ve got your Guide below. HIPAA is an acronym for a privacy-related health care coverage act. It stands for Health Insurance Portability and Accountability Act and initially passed Congress in 1996. It requires health clinics, hospitals, and medical insurance companies to be more discrete with client information. For example, under HIPAA, a doctor can’t discuss a case outside of work with any identifying factors. These can be names, age, race, gender and a long list of others that could cause another person’s privacy to be disturbed. It also grants patients the rights to always see their medical records and correct anything as needed. HIPAA is the reason you fill out the same form every time you visit the doctor, even if you’ve just been there. That’s your avenue to make any record-related changes. Another acronym, FACTA stands for the Fair and Accurate Credit Transitions Act. It’s an add on the previously-created Fair Credit Reporting Act. The government added FACTA to FCRA in 2003, when we began to understand the depth of identity theft. Yes, it’s FACTA’s fault that you have to sometimes sign in from two devices or answer a bank phone call confirming charges. As annoying as this can be, it’s keeping you safe and protecting your money. As a business, FACTA means that you have to be more alert about company finances. If you run a background check on potential employees including a credit check, they have the right to see the results. Your accountant is well versed in FACTA, so don’t feel shy about asking any questions. The GLBA is less talked about than the above acts, but you’ve probably signed a few GLBA agreements recently. GLBA stands for the Gramm-Leach-Bliley Act and requires financial institutions to tell customers how they’ll use their data. Institutions to code client information in a non-identifying way if shared with third parties. As a business, this means you’ll need to make sure you’re not sharing identities if you’re sharing information. You can’t tell a third party that the Millers have $20,000 in student debt, but you can give them a non-identifying category. Behind all of these seemingly-complicated rules is the government trying to protect consumers rights to privacy. Whether you agree with the policies or not, that’s their intention. Data breaches continue to climb as thieves and hackers get better at breaking into secure networks. In 2017 alone, a record 179 million records were exposed. It’s enough to make any consumer – and business – nervous. 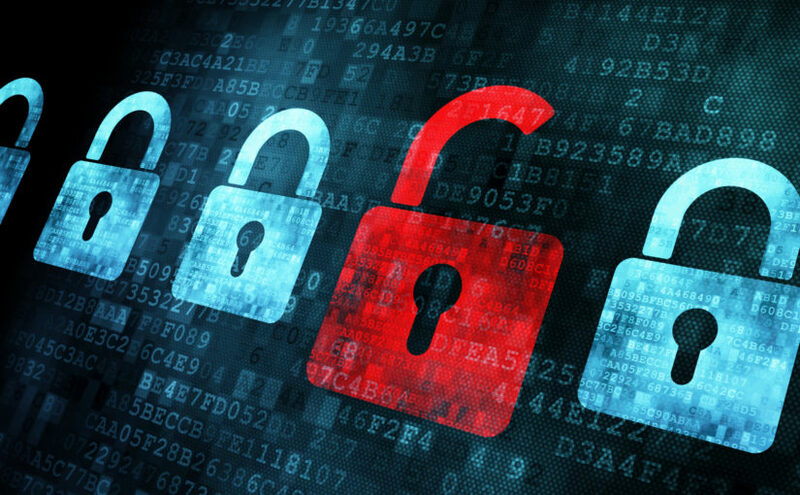 What can be done about the onslaught on your company’s secure information? First things first – you need to prioritize your security. Do you think your company is doing everything in its power to protect its valuable data? Don’t panic – you don’t have to be an IT genius to protect your system. With these next five tips and tricks, we’ll show you how to make sure your customer data stays safe. Hacking is the most common way companies’ data gets stolen. The majority of all data breaches is usually from hacking. There’s one great way to prevent hackers from getting in: encryption. While it’s easy enough to install, you will lose out if you have a “set it and forget it” attitude. Encryption is always changing. Make sure your systems are up to date at all times to prevent the latest methods of attack from stealing your data. We have a tendency to want to stockpile info to save “just in case”. Then we hoard that info and eventually forget about it. The solution? Get rid of it – the right way. First, make sure you really can get rid of the data. Then look into programs that can completely scrub computers free of any trace of it. If you have old computers that you’re getting rid of or are upgrading hardrives, don’t just scrub the data. Hackers can still retrieve information from scrubbed hard drives. 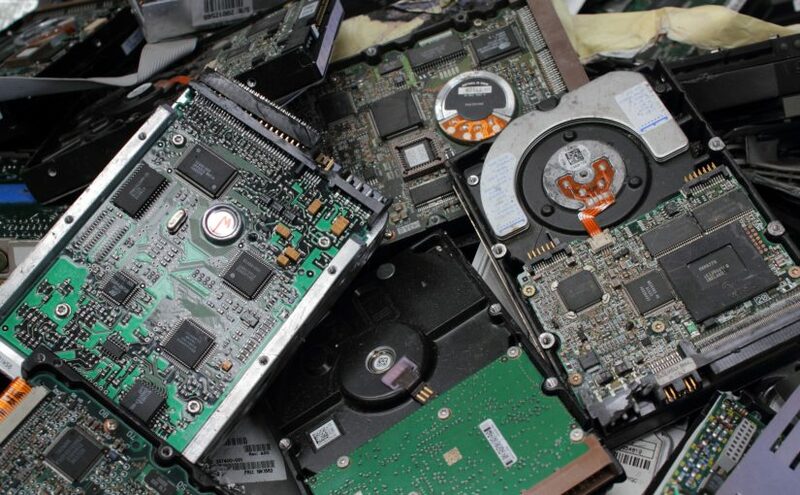 Instead, destroy the hard drives to be sure that your customer’s information can not be retrieved. Got a lot of paper records? Consider using a shredding service. Are you transmitting customer data over unsafe channels? If so, anyone can intercept the information. Too many people rely on ridiculous passwords like “password123” or the name of a beloved pet. These are too easy to guess and opens your network up to hackers who liked your dog’s photo on Instagram. Two things you can do to protect your password is to use a random password generator and change the password often. Password generators come up with difficult passwords. Think about getting a secure program to remember them for you. Make sure your employees know how and why you’re practicing data safety. Have them update their passwords frequently. Make sure they understand they can’t leave laptops unattended in coffee shops if there’s sensitive information on them. Always use a secure WiFi connection. Everyone might have to jump through a few hoops at first but it’s worth it to keep your information safe. These five tips will get you started on the road to data security. Customer data is important; you don’t want to lose your customer’s trust and with it, your business. If you need help managing your records and documents, we’re here for you. We can help manage, store, and shred any sensitive data you have. Contact us today and let us help keep your customer information safe!